Our stylish ovens are made of fibreglass and weigh just under 30kg. Patent pending Insulating heatproof handles & oven base mean they can be positioned anywhere, on anything sturdy enough to safely bear the oven weight. Delivered with the convenience of a personal carriage service to your door, the oven positioned to your preferences and all packaging removed. 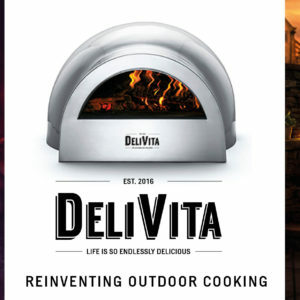 Tags: Delivita, Pizza lovers collection, Pizza oven, wood fired.